As we all scream for Robert Pattinson, I would like to share this simple bio and information about him. Not like any ordinary guy, Robert has this something that greatly affects majority of women. As far as we all know, he loves also music and is an expert with guitar and piano. At 15 years old, he already started his acting career in amateur plays at Barnes Theater Company. After which he took roles as Giselher in Kingdom of Twilight. 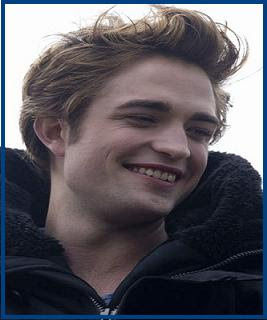 He was also starred at Harry Potter and the Goblet of Fire (2005) and took the role of Cedric Diggory. And later, he’s been a cast in the highly anticipated film Twilight as Edward Cullen. He was also starres at Little Ashes as Salvador Dali and How To Be as Art. His trademark happens to “Messy hair’ and I guess it just fits him. He is a fan of Jack Nicholson. More of him and updates ! soon!